External cavity diode lasers are commonlace on today’s market and boast properties such as a small footprint, low cost and large tuning range. However, some spectral ranges are difficult to access due to material limitations. InGaAs quantum wells for example are limited to emissions around 1100 nm. This is where InGaAs QD lasers come in, as they fill the gap between 1100 and 1300 nm and provide access to the yellow-orange-red region of the spectrum. 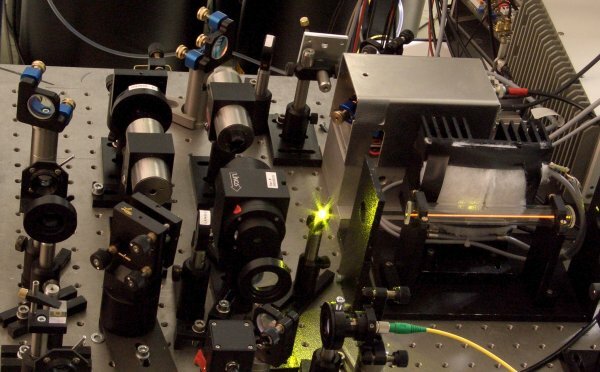 FYI: The article is pretty seriously intense with regard to information about Gallium substrates and nanometer ranges for some of the other QD lasers. Just, FYI. If you’re into that sort of stuff, check it out. I’m into light, which is why this is news! Know What You DON’T Have But Need? THE NEW JIMONLIGHT APP!!! There are approximately 4 billion lamp sockets in the U.S. This includes both residential and commercial.